Greg Taylor didn’t come from a bad home. He had good parents and a loving family, and he finished high school. It was there, however, he started using drugs and alcohol that almost cost him everything. A welder by trade, good pay and too much free time was a recipe for addiction, and crack cocaine took hold. “I didn’t do anything with my life except take drugs and go to work,” Taylor recalls. Taylor’s union put him through rehab once, but after relapsing two years later, he lost his job and home. Then, as his mother passed away from cancer, Taylor sat in prison, instead of being with her. Taylor’s journey through Abbotsford’s Kinghaven program worked … for a time. But as he collected bottles to earn a little money, the temptation of alcohol returned. 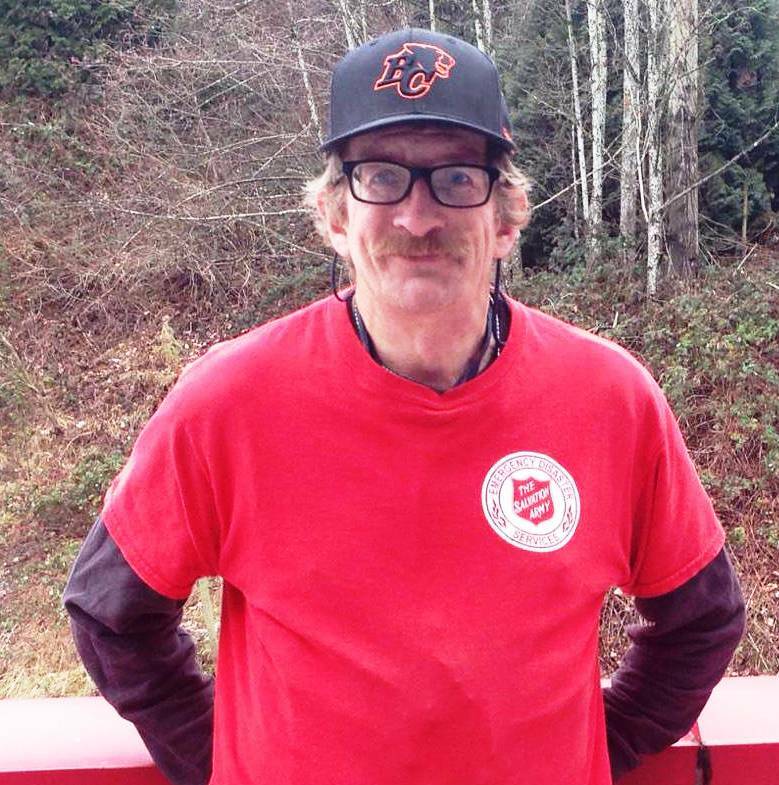 Asked to leave his transitional residence, he lived under the Peardonville overpass, but after a few months of heavy drinking, he found the Salvation Army Centre of Hope. “I realized that trying on my own didn’t work, so this time I asked God for help and went through the 12-step program,” Taylor says. He also discovered the Centre of Hope’s Supportive Independent Living program, designed to provide safe, affordable, secure housing for men in recovery from alcohol and substances as they transition to independent living, explains Michelle Veeneman, Supportive Independent Living Program Supervisor. With staff support, each resident works on his own goals – from mental health and overall wellness to employment and relationships. “While not always easy, working with people struggling with addiction, mental health issues and homelessness is so rewarding, Veeneman says. Taylor, sober for more than two years, is today an active volunteer. He continues to attend and chair support meetings, and a job that allows him to help others is in his plans. He also recognizes the power of asking for help. “As men, we drive around and around until we run out of gas, rather than asking for directions, but if we ask, they have no problem providing help,” he says.